Bank holiday weekend and I'd barely slept. Waking up on a Saturday morning like a 6 year old at Christmas eagerly anticipating a pile of presents at the foot of the tree, I had that little knot of excitement starting to build in the pit of my stomach. No, I wasn't going for a job interview and no, I there were no presents. And no tree. I'd wanted to try out kite surfing for yonks, having lived in and around the Poole/Bournemouth coastline since I was 5, I remain only too aware about how cool I could have been if I had picked up a kite, added a board and taken to the sea a lot earlier in my life. I always felt, apart from the obvious proximity benefits, that the sport would be quite inaccessible. By that, I mean, there were a lot of excuses and preconceptions that I believed were good enough reasons not to do it. Cost. It's true that it is not a cheap sport (though what is these days? ), and a full kite surfing rig can set you back about £1500.00. Obviously, you can get cheaper and you can get 2nd hand, but always get advice and find the right kite/s for you, your environment and your ability. As a general rule, always spend the money on the kite. Don't buy anything older than 2007, as advances in technology since then are enormous. And always spend the money on the kite. Did I already say that? Well it's worth emphasising. I always thought that the sport was a bit intimidating. I genuinely had this idea that the solitary surfer attitude would be perpetuated here and that a disdain for newcomers on their turf would be frowned upon. As I'm not one for conflict, this was one anxiety to overcome when taking to the sport. So, not to be deterred and manning-up to the task, I enrolled on a two-day course with Surface 2 Air Sports (S2AS) of Ashley Cross in Poole, Dorset. 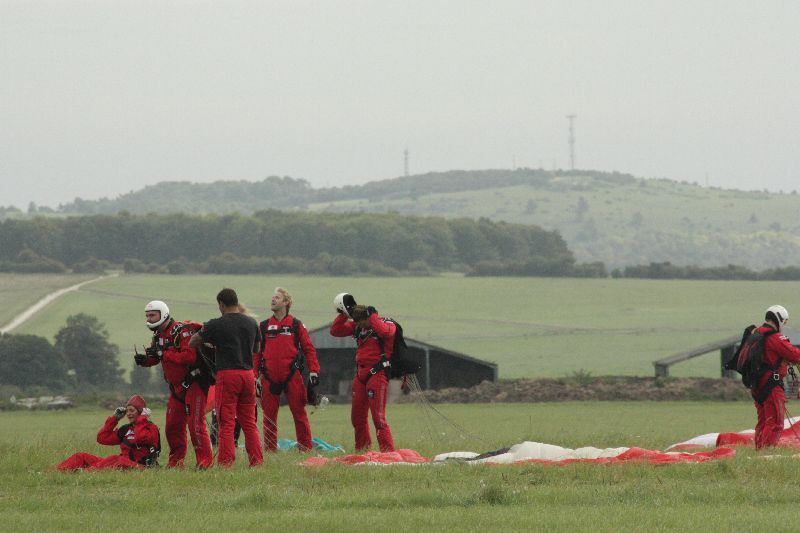 S2AS actually has 3 bases in total; Camber Sands in Kent and Brighton completing the line up. We arrived at the store to sign our lives away and meet Simon, our instructor for the course. Among the group were a lively couple from Winchester, who had decided that kite surfing was going to be their next adventure together, as well as a shop customer who had purchased a full rig from S2AS and came along for some help from Simon to get acquainted with his new kit. This is a great service that the store offers to customers and underlines their after-sales support strategy. The shop is about 5 minutes drive to our first location of the day; Baiter Park. Situated close to the main Quay & Poole town centre, parking can be tricky especially during holidays so give yourself plenty of time and make sure you've got some spare change. The park itself is renowned for kiting in the area and is used by many of the local schools for this stage of the instruction process as well ask power kiters and kite landboarders in general. Starting, as you would expect, from the beginning, we were given a little theory – wind, safety, kite anatomy, that sort of thing. 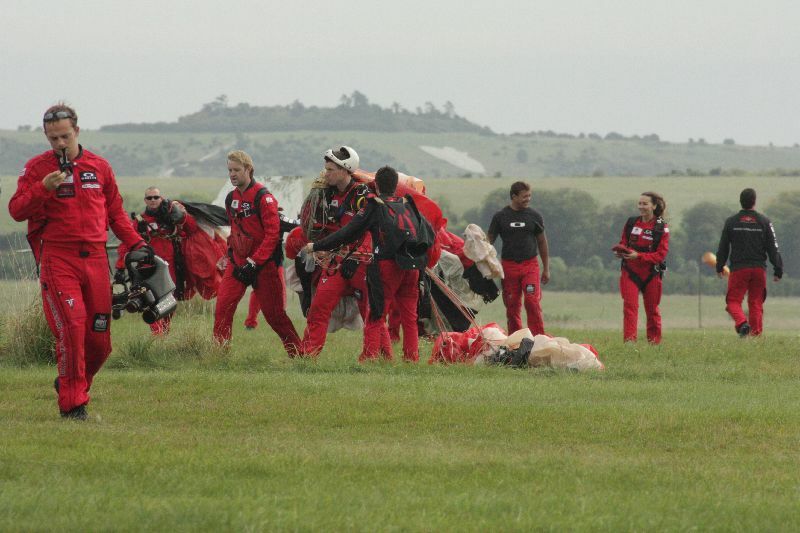 Nothing too scientific, nothing too boring – when you're chomping at the bit to start flying the last thing you need is the instructor spouting rhyme and verse from the health and safety manual at you as you probably wouldn't be listening anyway! A short demonstration and soon given the keys to our own 2.4m flexifoil 2-line kite. The design of this particular kite is ideally suited to land-based flying. The problem is that, if flown on the water, it fills up in an instant after crashing and makes it nearly impossible to relaunch. Another interesting fact, in terms of performance, relates to the kites two-layer construction. Our 2.4m flexifoil training kite is the equivalent to a 5m single skin inflatable kite. As the wind picked up during the morning, as did our proficiency with the kite. We moved on fairly quickly to a 7m Nobilus Leading Edge Inflatable (LEI) kite, more commonly used for kite surfing These kites were straight out of the bag & fresh for the new season. S2AS certainly don't make you learn on any old tat – this was shiny and new, which is just my favourite thing. The briefing and setup instructions were a little more in depth for these kites, in particular the process for readying the kite – no-crossed lines, correct level of inflation etc. and understanding how to detach yourself quickly should you find yourself stuck on another kite, a passing car or an aeroplane! There is a very logical, straightforward and crucially important process to follow when getting your kite ready. Rush it it, get it wrong and you'll pay for it later. You will notice that even the most experienced kite surfers are on the beach doing exactly the same thing that you are being shown to do. Remember, one knot in just one of your lines weakens it's tensile strength by about 80% - and a snapped line out at sea is the last thing that you or the coastguard will need. The afternoon session took place at Sandbanks in Poole, which again, is a hugely popular location for kite surfing & windsurfing due to the vast, shallow area in which you can learn. If you know the area, you can park for free by finding the right spots, otherwise bring plenty of nuggets with you, especially during the summer season. Donning our wet suits, harness, buoyancy aids and helmets, the order of the afternoon was body-dragging. This involves using the kite to essentially pull your limp torso through the water, back towards the beach. It's amazing how quickly you get a feel for the kite, where the power comes from and how to harness it's energy into movement. It's really quite an exhilarating feeling, the spray in your face as your body glides powerfully through the breaking surf. Unfortunately, the second day of the course didn't live up to the promise of the first. With confidence levels starting out high, hoping to progress quickly onto the boards and the aspirations to be crowned fully-fledged kite surfers by the end of the weekend were dashed when the wind simply forgot to blow. We tried for a couple of hours, bless us, but a mixture of frustration in trying to just keep the kite flying and then introducing the board (something else to think about), it was all proving too much. A unanimous decision from the group brought a halt to proceedings, made easier with the introduction of a beer and bowl of chilli con carne in the local Sandacres pub. Such is the commendable attitude to customer satisfaction from the S2AS guys, they offered to write-off Sunday and give the group their 2nd day all over again. To me, that's the kind of thing I hope I'll find when out reviewing. Genuine, honest goodwill to customers. At the end of the day, they will benefit, as those happy experience day customers come back to the shop to buy their first full kit. And guess where they'll go to upgrade a few years later? It's just good business, practiced in the best way. And my preconceptions? Well, I was wrong, obviously. When you begin to understand the dependencies kite surfers have on one another – help with launching, keeping an eye on their kit left on the beach, raising the profile of the sport, you understand quickly that this is predominantly a sport made up of helpful, selfless and friendly individuals all with a common purpose – harnessing the power of nature for their own enjoyment. And that is a place I'd like to belong. A two-day course with S2AS costs £195.00, or £99.00 per single day. There are special offers available (at the time of writing, the two-day course was discounted to £149.00) so it's well worth checking the website. If you're considering buying the kit, Jason in the Poole store is the oracle when it comes to prescribing the best setup for you, and as the store stocks all brands, you're going to get an unbiased opinion. We recommend popping in for a chat and a coffee – just make sure he's there first and not out testing the next best thing on the market! This review was always going to be a little different. I am used to tagging along on group days, hiding in the shadows, reading the subtleties of the situation, group dynamics, interaction and engagement, enjoyment and frustration - I use all of it for my reviews. This time, I was centre of attention - the Stag. Never before and never again will the first hour of any session involve running around a deceptively busy area of Pembrokeshire’s most stunning coastline, in a fluorescent green mankini! We were going Coasteering, with Adventure Beyond. Now, I’ve done Canyoning before, Coasteerings inland cousin, but I wasn’t too sure what to expect. 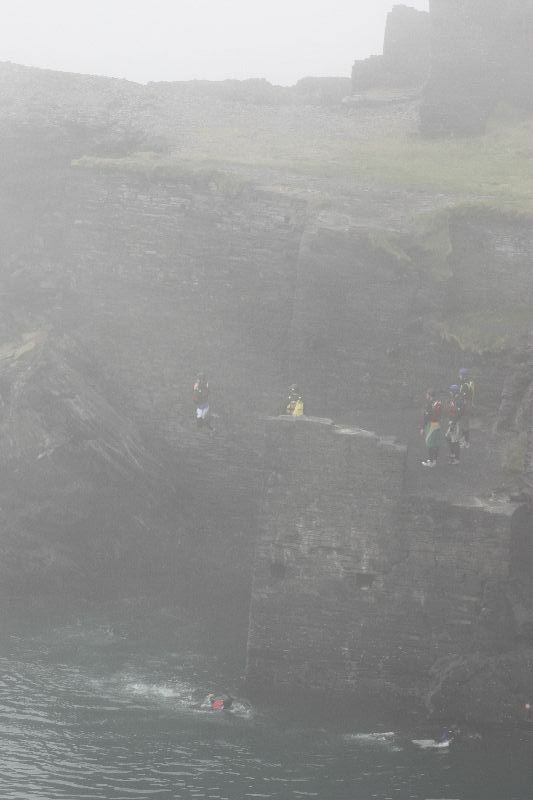 I’d jumped off of rocks (or tombstoning as it’s now called) as a kid in Cornwall. I thought it would be much the same, a little tame, particularly in todays climate of Health & Safety over-protectionism madness. Well, I was to be proved wrong in that it was one of the most challenging, exciting and adrenaline fuelled things I’ve done. Meeting the instructors on location at Abereiddy, near St Davids. the sky was a magnificent blue, the sea was transparent and shimmering, just inviting us in and the surrounding area wouldn’t have been out of place in The Lord of the Rings. All equipment was provided by the school, you only need to bring a pair of old trainers and some shorts to wear over the top of your wetsuit. Life jacket, helmet, mankini (optional). Done. Sign your life away, safety briefing and we’re off. Like a deranged episode of baywatch, running, jumping, forward rolling our way down the beach (I’m told that it’s to help you warm up, I can’t help feeling it was to make us look (more) stupid). 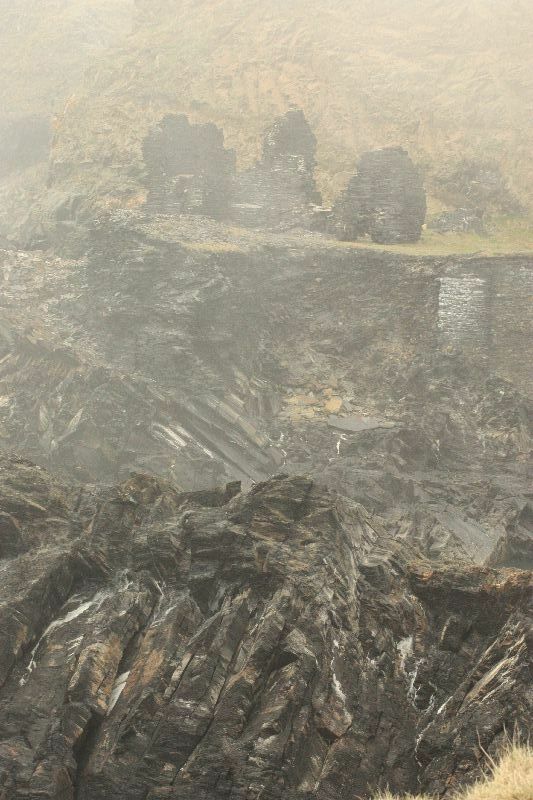 The initial climb over the slate cliffs gave a taste of what was to come - slippery when wet and barnacles like glass paper, good for your footing, bad for your hands! If you’ve ever seen the film Blue Juice (1995), there’s a part where Sean Pertwee chucks his surfboard over the cliff and then follows it, that’s where we were (fortunately we didn’t do that particular reenactment & the instructor waited until afterwards to tell us that the stuntman who did the jump compressed some vertebrae and now is a little vertically challenged). The most stunning sight of clear blue water in the lagoon was enough to make your mouth water. It’s amazing that this actually exists in the UK. The dramatic mixture of natural and man-made rock formations added to the anticipation. A quick blast of a swim across the lagoon, and a couple of small test jumps - to test and assess technique and confidence for later - and we were onto the running slab. This involves a 20ft gravity fed run down a large slate slab (no turning back - 100% commitment required) and leap into the waters below. Totally exhilarating. Making our way out of the lagoon through a channel in the rocks, an ominous site was looming large on the horizon. The speed at which it engulfed us was incredible and the environment around us took on a completely different persona. 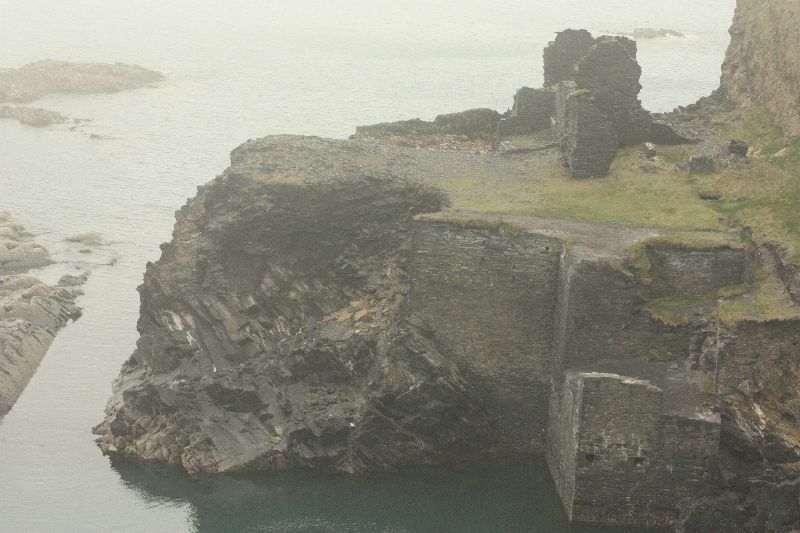 The mist, no fog, that took hold gave just enough visibility to proceed - but the rugged coastline and rising waters became mysterious and eerie. With visibility seriously diminished, our cameraman disappeared to take photos of sheep, sheep poo & then himself after discovering the auto timer on the camera! 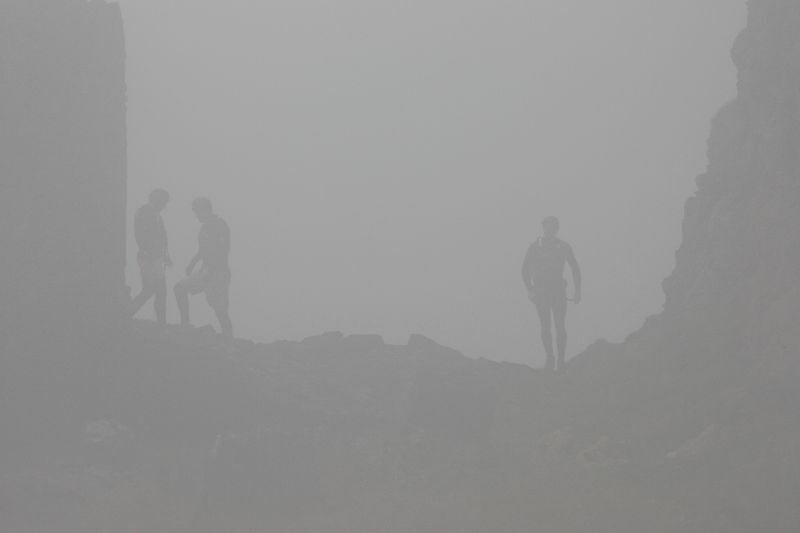 We, however, pushed on around the headland, incorporating basic climbing & scrambling skills and enjoying the natural features of the landscape. One of which was lovingly referred to as the “toilet”. A naturally formed channel in the rocks, carved out over thousands of years being pummelled by the moving tides is our destination. Chuck in a dozen stag party goers and you’ve got the most bizarre primordial soup you wouldn’t want to eat. Then let mother nature do the rest. As the tide rises, you get pulled up into the channel, over the rocks - as it retreats, you literally get flushed out down the natural water chute into a pile of fellow coasteerers at the bottom. A few more jumps - up to 50ft off of the cliffs in some places and we start to make our way back to the lagoon for the grand finale. It is important to mention at this point that the main element of this activity is teamwork. It starts with the instructor, no doubt, but he is one man. He knows the area, the technique and skills required and can help you through but the most important aspect for safety and enjoyment, is to help each other traverse, get over, under, across and through the myriad of obstacles that you face. Teamwork, however, goes out of the window, when your best man refuses to do the high jumps because he’s afraid of heights. Ensue usual banter. We did it (well, some of us - Gav!). You felt you were falling a good few seconds longer than was natural. It was difficult to stay totally upright the whole way before SPLASH! Touchdown. Re-entry. It was over. Round of applause, a few whoop whoops and we were off to watch the rugby in the pub. What an awesome way to get rid of a hangover. In 2007, "Jamie" Bloemsma was crowned Dutch National Slalom Waterski Champion. 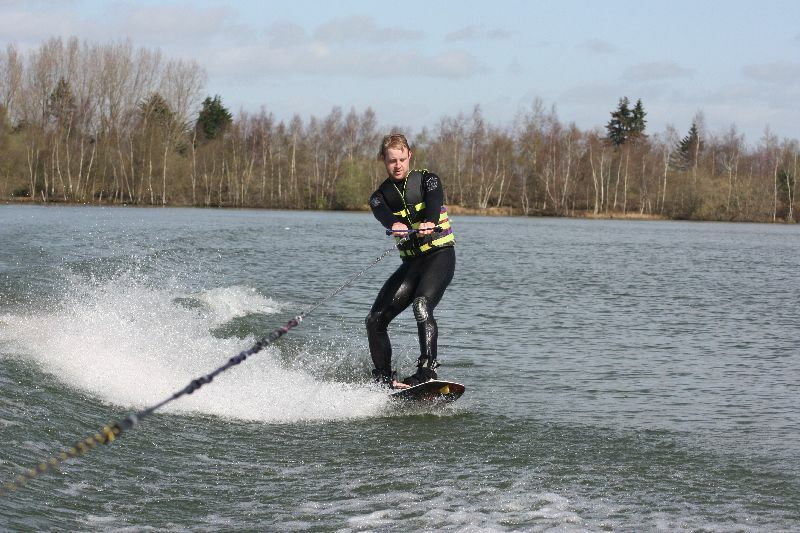 In 2009, Jamie can be found during the summer months offering his advice and instruction via his Ski and Wakeboard school at Ellingham Waterski Park, nr Ringwood, Hampshire. 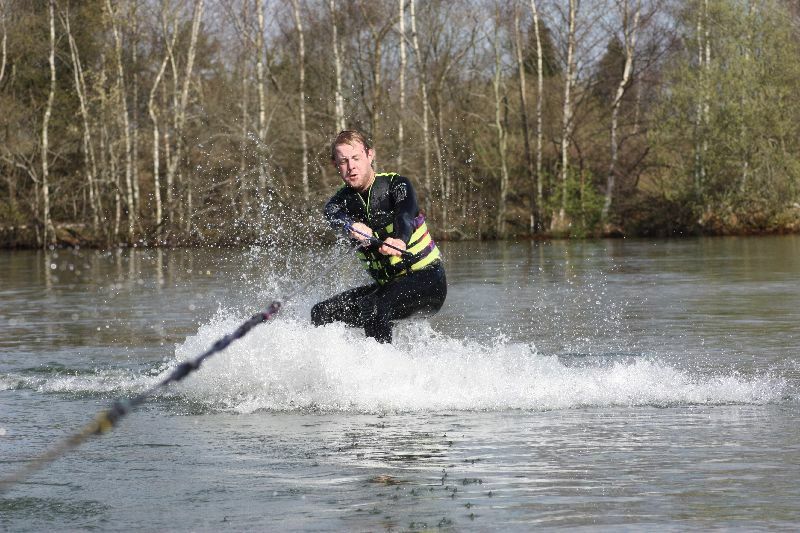 SkiFunJamie offers waterskiing, wakeboarding, trick skiing, kneeboarding, barefoot skiing and jump skiing lessons and tuition to anyone who wants to learn. This really is inclusive in the widest sense, evidenced by the myriad of disabled participants whose stories are told across the walls of the club house. Jamie believes that everyone is capable and that it is his job to ensure that everyone pushes themselves to both improve and enjoy these thrilling activities. The facilities at Ellingham are good. The club house, whilst a little rustic and in need of a little improvement, is functional characterful. 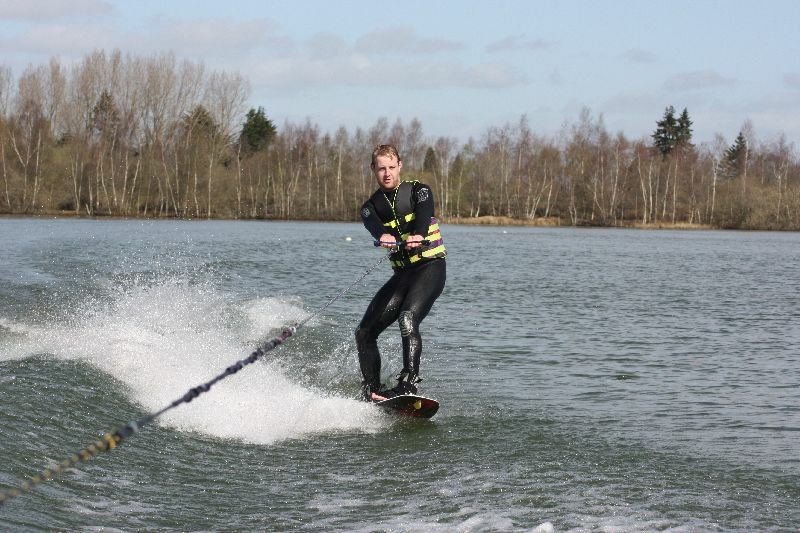 They have two hi-spec competition standard boats, a container full of hire equipment, and a man-made lake that offers the only full slalom waterski course for 80 miles. 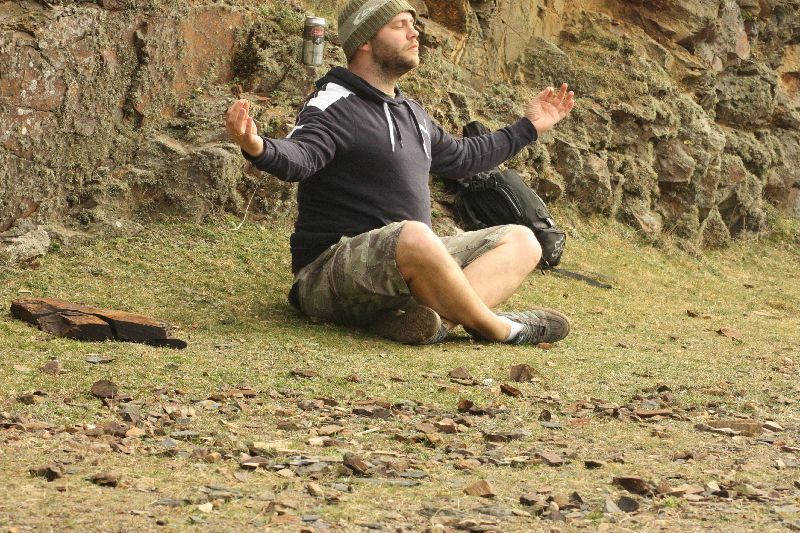 The setting is idillic and peaceful, where you can enjoy a BBQ on the viranda whilst watching the activities on the lake. There is a real sense of community about the centre and the club. From the member donated furniture in the clubhouse and the donated equipment in the childrens play area to the committe that looks after the club and it's 125 strong member base. We met Jo, one of the comittee members, who showed us round and gave us the low-down on how the club ran, how the the 4 slot system works (1 slot in every four during club sessions is for non-club members) and the challenges that a club like this faces. After a whistlestop tour, Jo dons her wetsuit and before you know it, is flying up and down the lake on a slalom mono-ski, giant rooster tails streaming out behind her. Once finished, she was quickly into dry clothes and back at the computer running whatever administrative errands were required to keep the club ticking over. Funding is clearly a challenge, but fortunately not every aspect of the clubs financial burden rests on its member base. The lottery funded a recently constructed new slipway and jetty, crucial for the the launching of watercraft and enabling safe access to and from the lake. 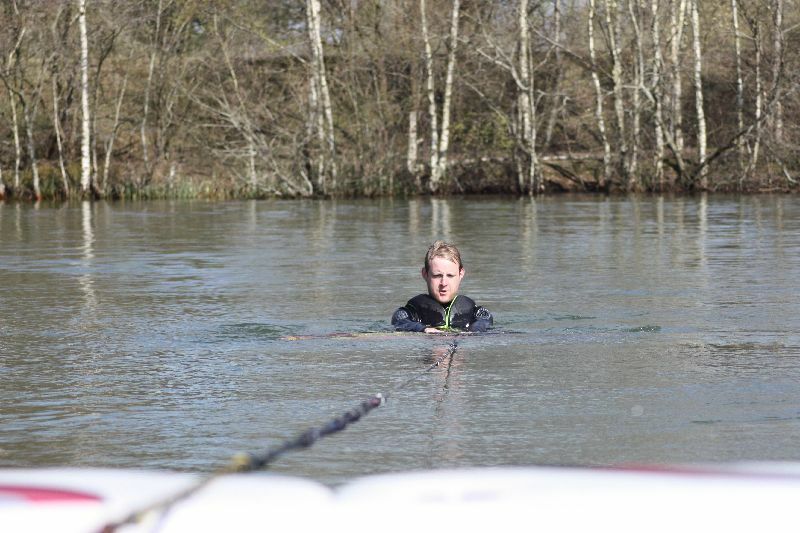 We took part in a beginner wakeboard lesson with SkiFunJamie. Neither of us had ever wakeboarded or waterski'd or frankly, done anything involving beyond hauled along by a powerboat, not since banana boating as a kid anyway. This really was going to test Jamie's instructor skills, as well as our nerve. 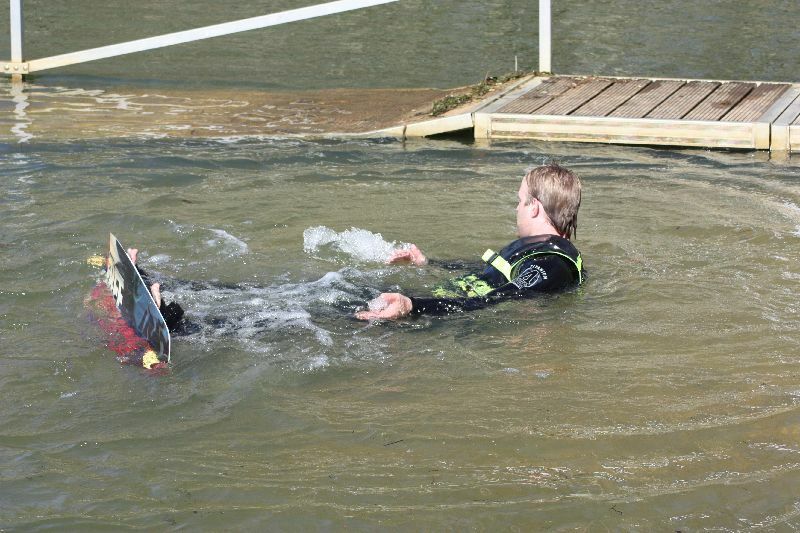 Equipped in neoprene, life vest and with a wakeboard and bindings hired from the school, we were ready to rock and roll. I would be lying if I said we weren't a little apprehensive. We didn't want to look like fools, being dragged around in the water like some Police Academy movie. We are also a little competitive, so I'm sure, was secretly hoping the other would look at least a degree more stupid. 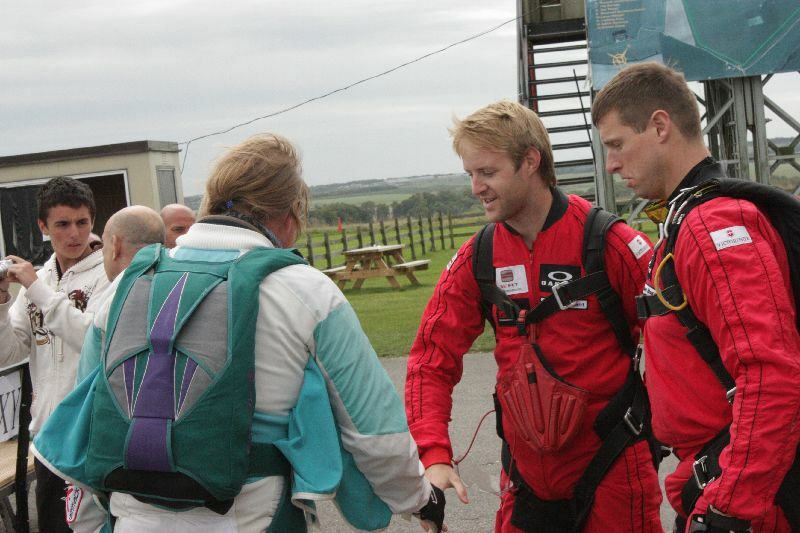 After a short safety briefing, it was time for a pep talk and some words of wisdom from Jamie. The latter delivering easily the most succinct but effective advice I have had when taking part in a new activity for the first time. "Twist your hip." That's it? Nothing else? Surely I've got to leverage my upper body strength, manage my weight transition, control my edges... Nope. Just stay relaxed, bend your knees and let the boat, the board and the water to the work. A twist of the hip at the right moment will see you righted and moving steadily with the boat. And it did. Wow. The static, rigid bar used for first timers was a cinch, all thanks to this little gem of advice. Never fear, the relative ease of the static bar is soon replaced by the intimidating sight of a rope being dropped off of the back of the boat. Joining the rope, bobbing like an apple at the back of the boat, this was now a whole different ball game. As the boat moves away, the pressure builds against the board & begins to lift you out of the water. In comparison to the bar, the forces exherted onto your upper body are huge and a little surprising. Little did I remember, first time round, that I held the key to managing this effectively. "Twist the hip". Timed incorrectly and leave it too late you feel like you are carrying the full load of the boat and it's many horses in your numbing, cold hands. Needless to say, you will let go. Timed correctly, you relieve the pressure, increase stability and are moving with the boat with the biggest, cheesiest grin on your face imaginable. For anyone who has snowboarded before, as I had, you really get to feel how you can use your edges to control your position, direction and speed on the board. We began to traverse the wake of the boat, negotiating the changes in height of the wake and using the arc of the rope to move from side to side. We managed a few runs of the lake before coming to a stop by the jetty, chuffed to bits and totally exhilarated. 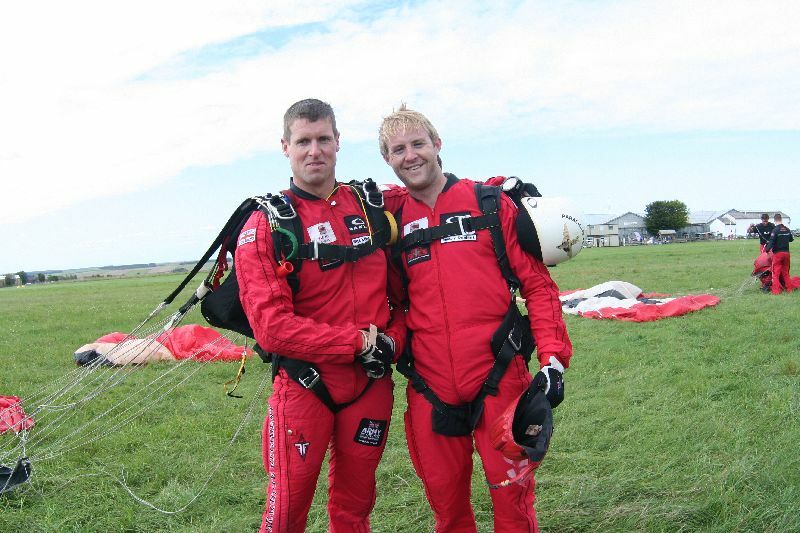 We made pretty good progress & under instruction we were moving at a pace dictated by us but alsoenhanced through Jamie's understanding of the sport, our capabilities and our potential. The session lasted 15 minutes, in which we got half a dozen runs on the lake. The cost of this is a shade over £20.00, which whilst not cheap is great value for the education, the equipment and the utter thrill of the ride. Jamie gives lesson between 9am and 1pm weekdays, and is also available in afternoons and at weekends fitting around the club sessions which take priority during these times.